I know what you're thinking... Peanut Butter = Yum! Pepperoni = Yum! Cupcakes = Double Yum!!! Peanut Butter Pepperoni Cupcakes = WHAT!?!?!?!?!?! If you're non-vegetarian and enjoy sweet and salty combined then you would enjoy this peanut butter pepperoni cupcake, topped with cream cheese frosting and sprinkled with grated pepperoni. With a mixer on medium speed combine oil and sugar, until it appears like wet sand (if using butter, cream until light and fluffy). Beat in eggs one at a time until completely incorporated. 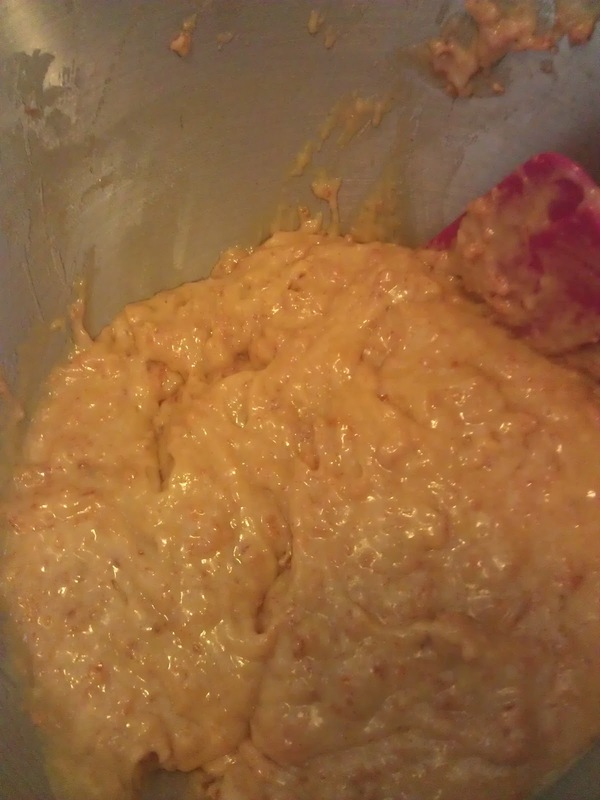 Next, add peanut butter to mixture and combine fully. 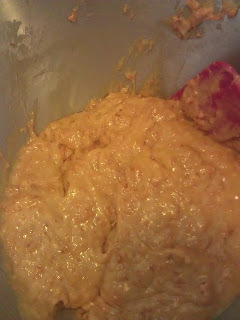 (Mixture will appear a little sticky) In a separate bowl, sift self-rising flour. Alternate the addition of the dry ingredients with the milk, in a 3 : 2 ratio. Fold 0. 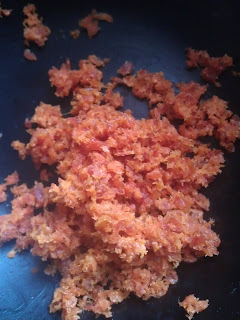 75 cup loosely packed grated pepperoni into batter until evenly distributed. Scoop into lined cupcake pans and bake until pick inserted in the middle of each cake comes out clean. (20-25 minutes) Makes 18 cupcakes. Note: The pepperoni and peanut butter will produce some oil as the cakes bake causing the cupcake liner to separate effortlessly from the cupcake when it cools. I made and decorated the batch pictured above for a friend's get-together and made my first fondant ruffles... :) What do you think? If you tasted this cake you are also welcome to share their comments below.